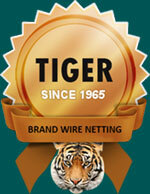 This is to introduce ourselves as one of the leading manufacturers of wire mesh in India. We have the state of the art production facility, having imported machineries from China, Japan & Germany. We are the third generation in this business, so as far as experience and expertize is concerned, we are leading this industry. We have the state-of-the art machinery. We have experience, because we are the 3rd generation in this business. We have the technology & experience to weave the most tedious & difficult wire mesh. Also, we have the ability to produce all kinds of wire mesh in all kinds of weaves, so as to cater all kinds of demands of clients under one roof. We assure you we manufacture all types of wire mesh in all metals. In case, we cant manufacture any type WIRE MESH, we can import/source it for our clients from China, Japan & Germany. Open challenge (We can source item at the lowest price in industry ensuring best quality of products). We at Varada Manufacturing, give full assurance to the quality of our products. All the mesh materials are chemically treated and made corrosion free to help increase its life in long run. For us, the quality of products is kept on highest stake so as to satisfy our customers and create a market base of goodwill and performance. Its tensile strength and thickness on various grades is according to industry standards. They are good in quality when it comes to being corrosion resistant. Defect free weaving: Consistency in aperture & wire dia throughout the weaving process. Production: All our our materials are produced with balanced tail (pickets) which means that the openings in both directions will be symmetrical in relation to the overall piece dimentions. Final product goes through following quality tests to ensure you flaw less & highly durable products. Good are packed in size as per requirement of our clients. We understand value of time and so our professionally managed team ensures timely delivery for all the shipments.